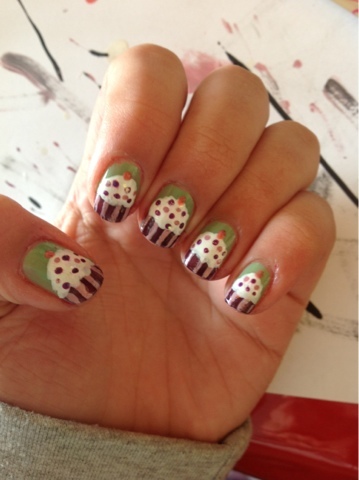 Nails of the Week: 'Twas my birthday! Finals are over, I am finally a happy person again. Well, not really, but at least my stress level has decreased. 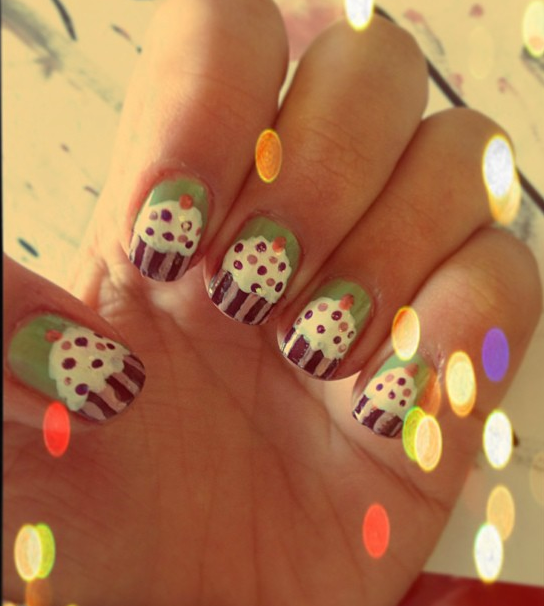 During a mini study break I took last week, I decided to try out the cupcake nail art for my birthday. I have to admit, this wasn't the easiest thing I've tried, but it wasn't impossible. 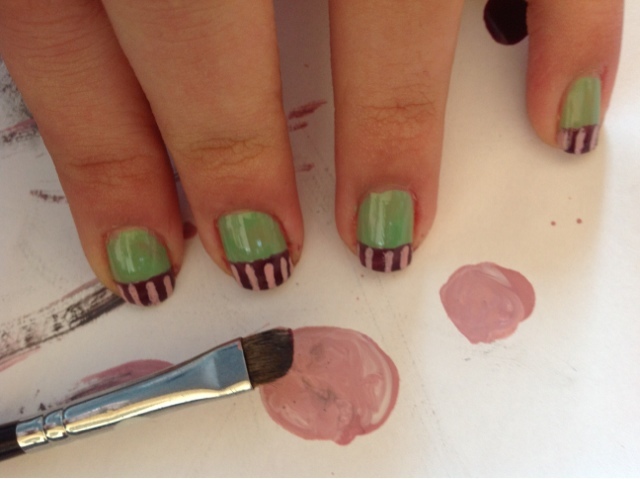 Apply the cupcake base color across the tip of the nail like a thick french tip, no need for a perfect line. I went with a dark purple (Nubar "Nice Purple). Apply vertical lines with a lighter color on the cupcake base using the eye shadow brush (I mixed the H&M with St. Germain Blanche Neige). 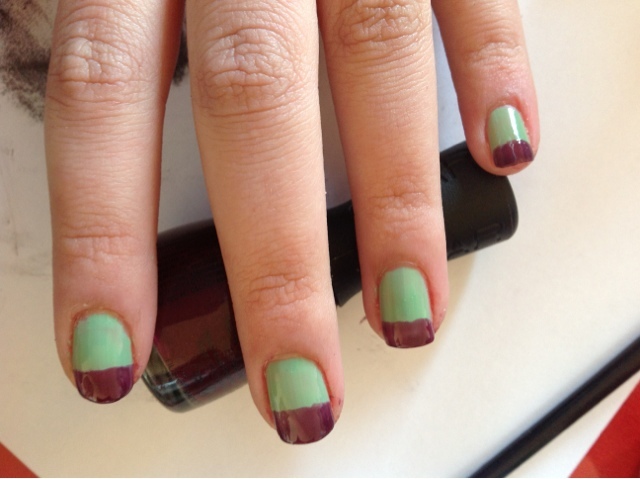 Note: you can also use a nail polish with a thin brush. With the back of the eyeshadow brush, or a thick dotting tool. 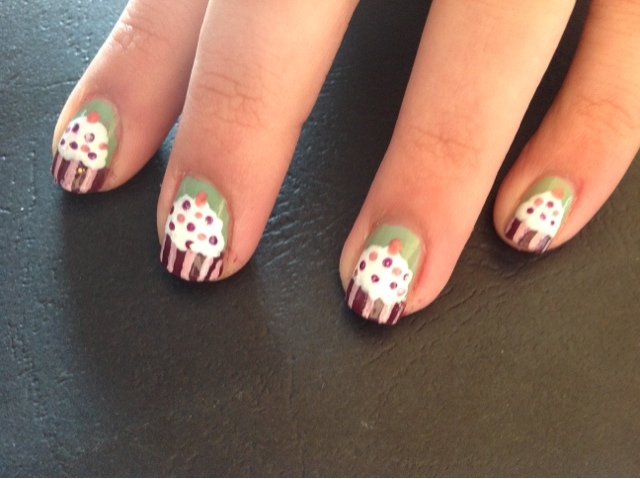 Dab a bit of white nail polish to make the frosting bit of the cupcake. (Make a rough triangle shape and fill it in). Using a smaller dotting tool or a tip of an old pen, apply little dots of the base colors (or any other color) as sprinkles.